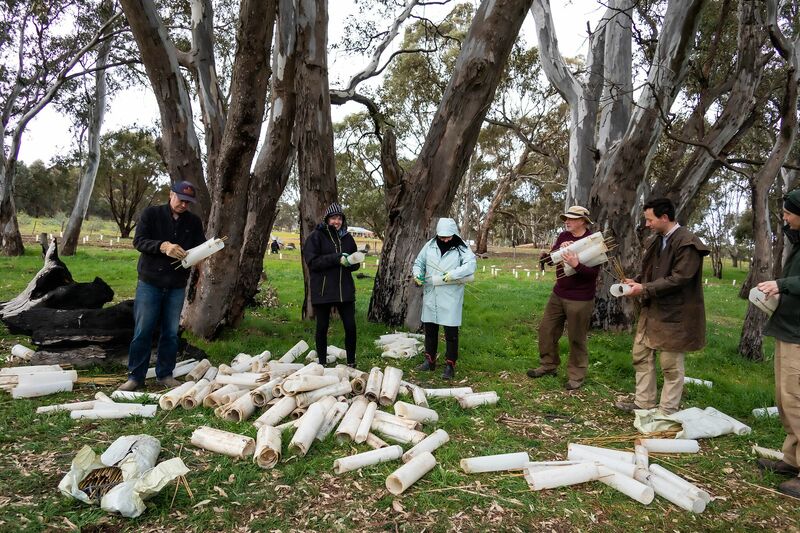 Thanks to all the volunteers of Muckleford Landcare that came out on a terribly cold and raining (and hailing) day to plant along the Bassett Creek, as part of our Bassett Creek Restoration Project Stage 2 as funded by NCCMA. This planting, when grown, is going to connect up to plantings that were done on the creek ten years ago (also funded by NCCMA). This is part of the plan to improve the overall health of the Bassett. 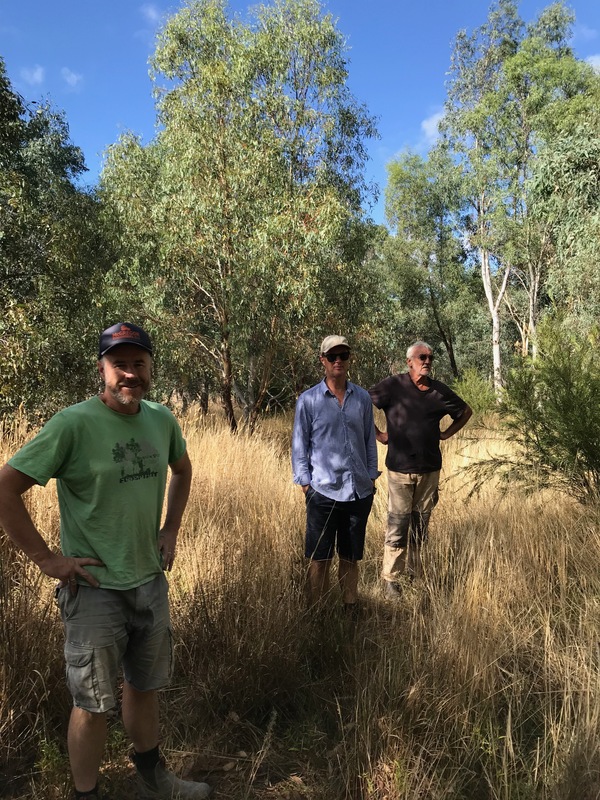 Thanks also to the landholders whose land we planted on, and who are also interested in improving habitat health in this area. 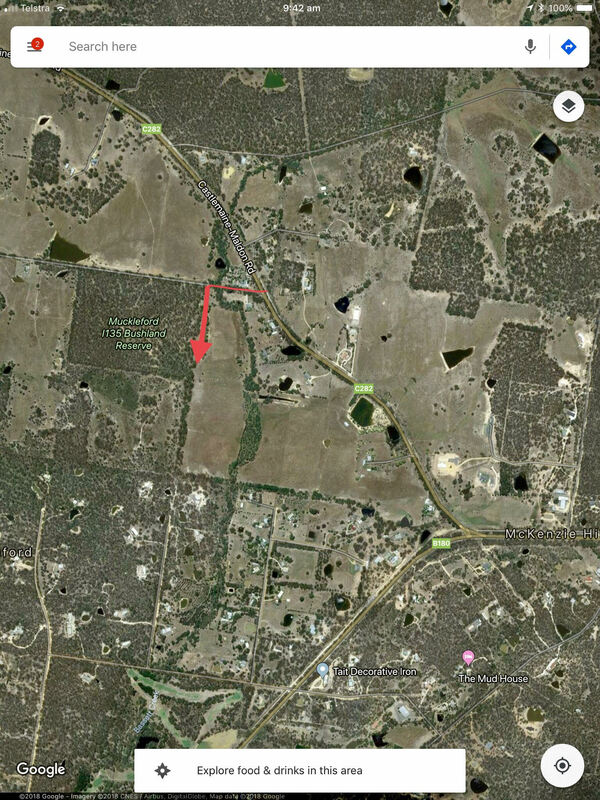 Muckleford Landcare is having a planting day for our Bassett Creek Project on Saturday 15th September, starting at 10am. Hot lunch is provided. Enter via the Muckleford Bush Reserve on the Muckleford School Road. We’d love to see as many members as possible. Please bring mattock for banging in stakes, gloves to protect your hands, as well wearing all the appropriate gear, bringing your own water etc etc. Phone or email Beth with any queries on 0431219980. 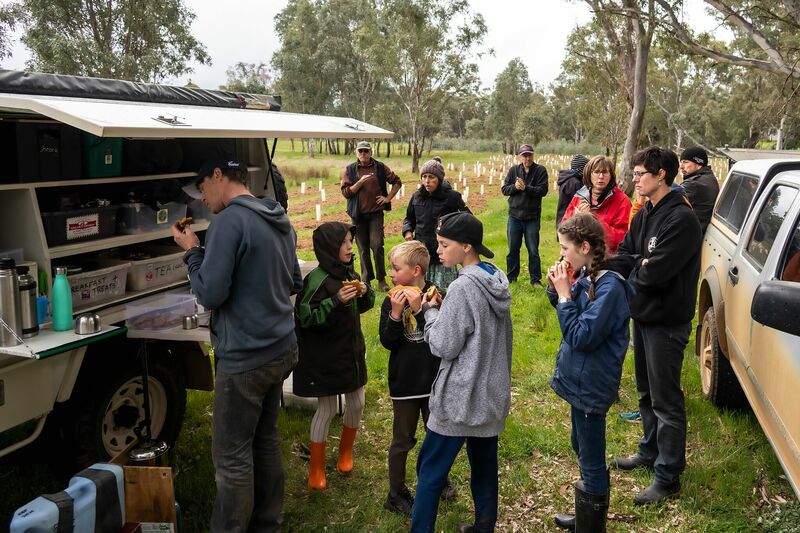 Would you like a seed orchard on your property? 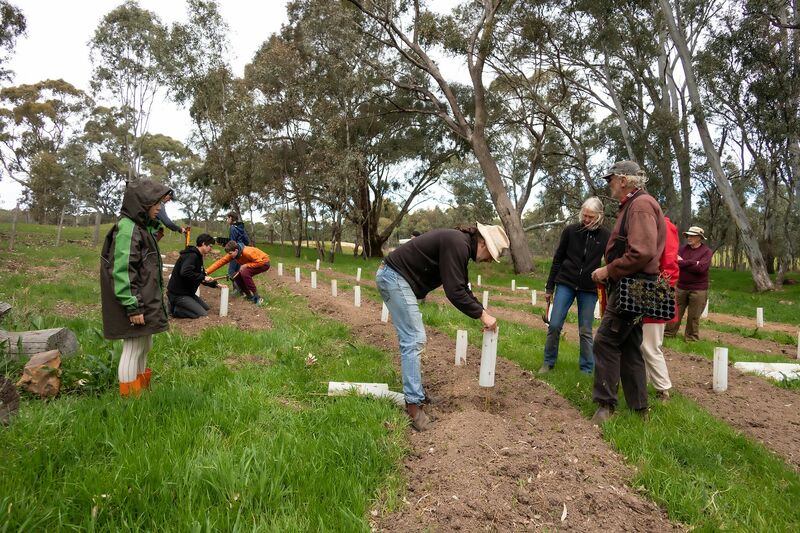 Seed orchards could provide our Landcare group with seed stock and supply our members with plants for habitat enhancement. I can apply for funding to set up a seed orchard but do need some-one to volunteer a few acres of land for the purpose. 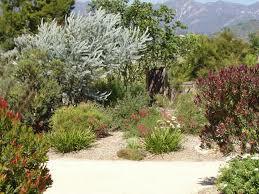 In return, you would have a lovely forested area on your land attracting birds and other fauna. Please contact Beth if you are interested. 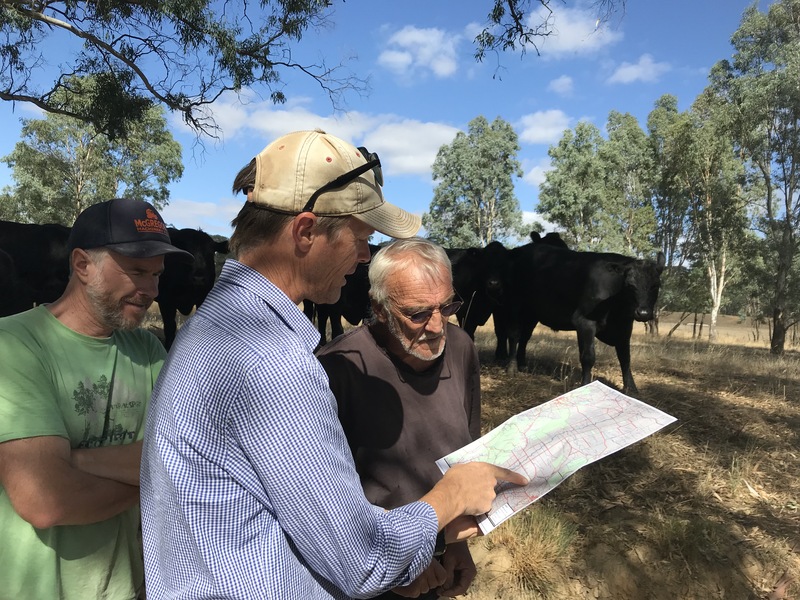 Expressions of interest are being sought by Muckleford Catchment Landcare Group for anyone who wants to remove their external barbed wire fences. 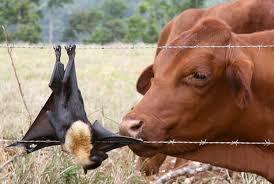 Barbed wire fencing is dangerous for native fauna. 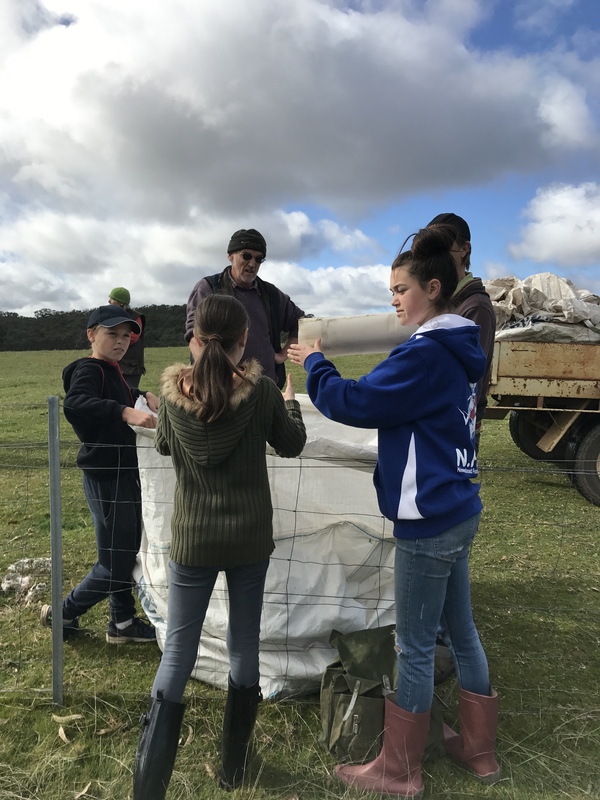 Although we don’t have funding to replace the barbed wire with more wildlife friendly fencing, we can help you take down your old fences, especially for those landholders who don’t have stock. Please click here to contact the Muckleford Catchment Secretary, Beth Mellick, to leave your details. 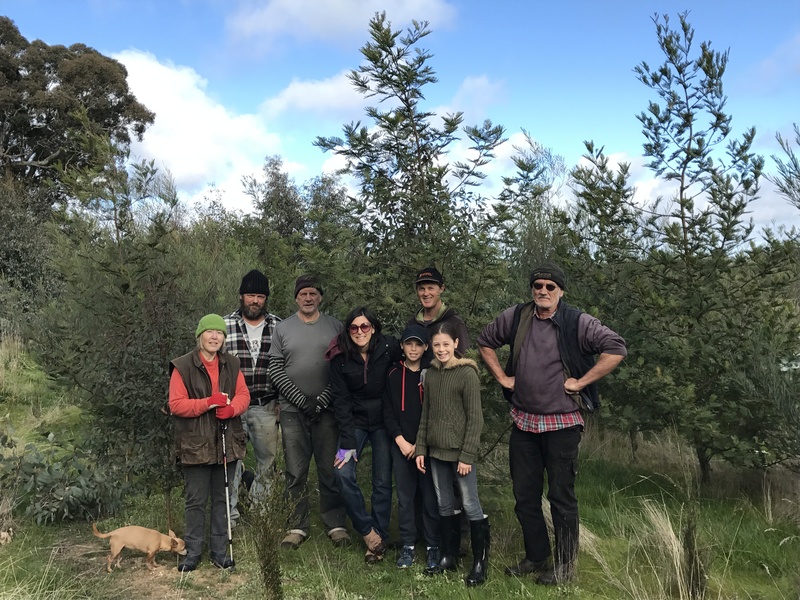 A little group of Landcare volunteers came out on the National Tree Day weekend to remove the tree guards from Mark’s property on Creaseys Road. 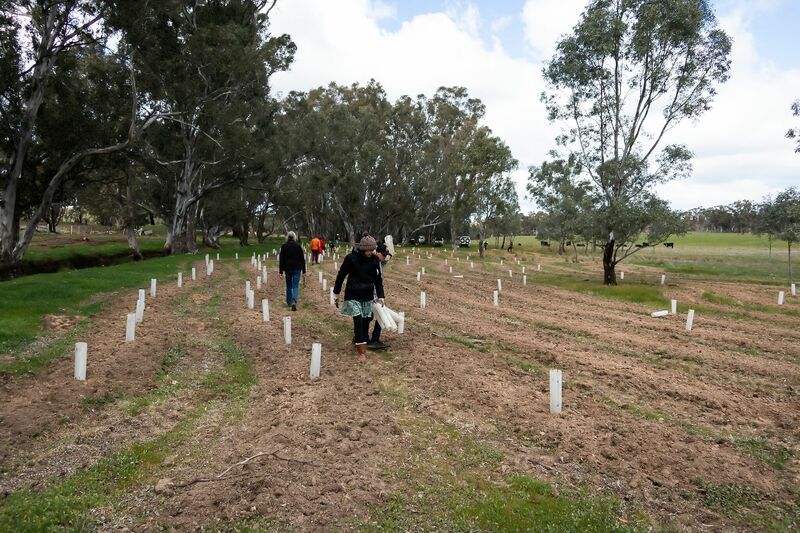 This was the planting we did two years as part of the Chinaman’s Creek Project. 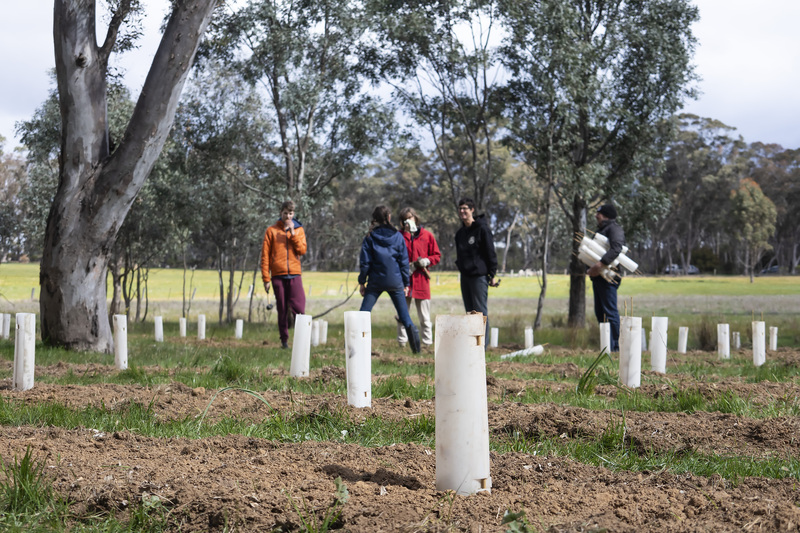 Thanks to Landcare member, Helena, for letting us store the plant guards at her place.